HOLYOKE, Mass. 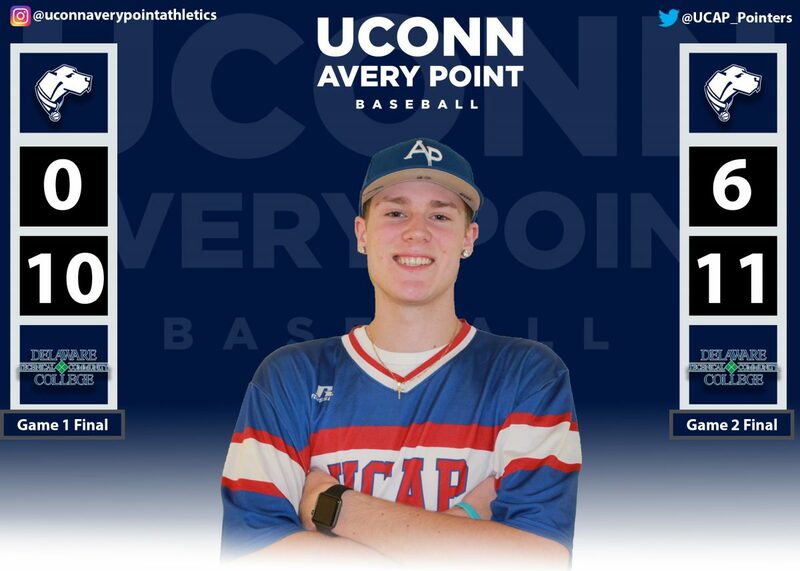 – A seven-run fourth inning provided more than enough offense in support of sophomore Jordan Warecke (Old Lyme, Conn.), who merited just one hit in a 12-1 win (five innings) for the University of Connecticut Avery Point baseball team at Holyoke Community College. Warecke’s only blemish was a leadoff double in the fourth. He fanned eight and walked just one to earn the win. 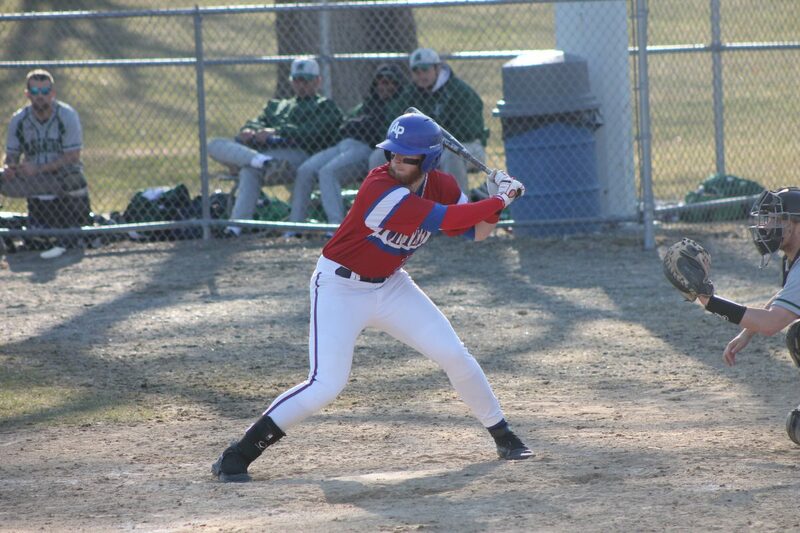 Alex Petchark (Waterford, Conn.) was 2-for-3 with two runs scored and two RBI. Aidan Brennan (New London, Conn.) finished 2-for-2 with two runs scored and one RBI. Seamus Barry (Montville, Conn.) had a hit, drove in two runs and scored two more, while Brayden Cooney (Southington, Conn.) posted a hit, scored twice and drove in a run. On Deck: at Bunker Hill CC, Saturday at 12 p.m.
GROTON, Conn. – Sophomore Collin Bakken (Waterford, Conn.) dominated with a complete-game shutout in the opener and classmate Brayden Cooney (Southington, Conn.) made it a sweep with a walk-off single in the nightcap as the University of Connecticut Avery Point baseball team defeated the County College of Morris, 5-0 and 5-4 (eight innings) today. 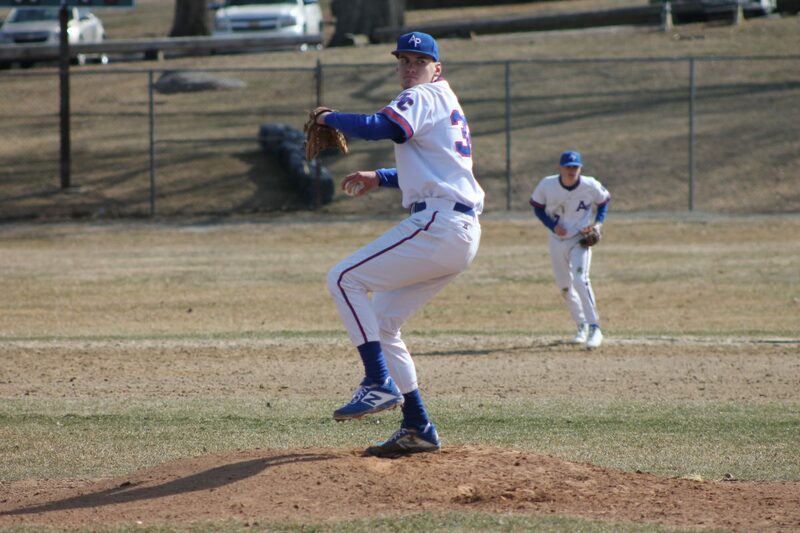 Bakken allowed just five hits and fanned nine in a seven-inning complete game in the opener. Chris Oliwa (Ansonia, Conn.) had a double and two RBI in game one, while Seamus Barry (Montville, Conn.) had a hit, a run scored and a RBI. Omar Montalvo (West Hartford, Conn.) went 3-for-5 in the nightcap, while Barry added two more hits, a run scored and a RBI. Colin Sparaco (Ivoryton, Conn.) tossed six innings and left in line for the win, fanning 10 in the process. The visitors scored twice in the top of the seventh to erase a 4-2 deficit and even the game at 4-4. 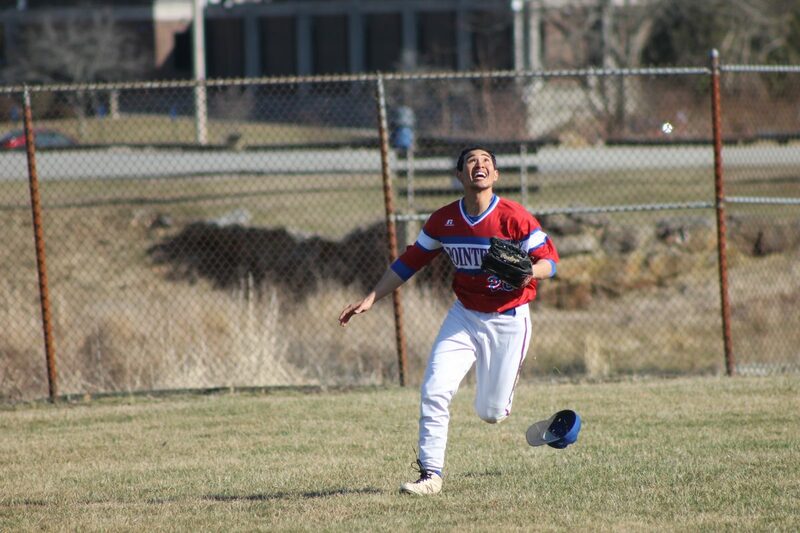 The Pointers then loaded the bases with two outs in the bottom of the eighth before Cooney’s single to center field that plated Elijah Martinez (New London, Conn.) with the winning run. On Deck: at Holyoke CC, Wednesday at 4 p.m.
GROTON, Conn. – Freshman Liam Milewski (Lyme, Conn.) hurled a complete-game (five inning) shutout and fanned nine, while every starting position player reached base at least once as the University of Connecticut Avery Point baseball team blanked Bunker Hill Community College, 11-0. Alex Petchark (Waterford, Conn.) finished 2-for-3, including a home run, scored two runs and drove in two. Noah Yokoi (Westport, Conn.) and Aidan Brennan (New London, Conn.) also registered two hits. Yokoi added a run scored and a RBI. Brennan scored twice and drove in a run. 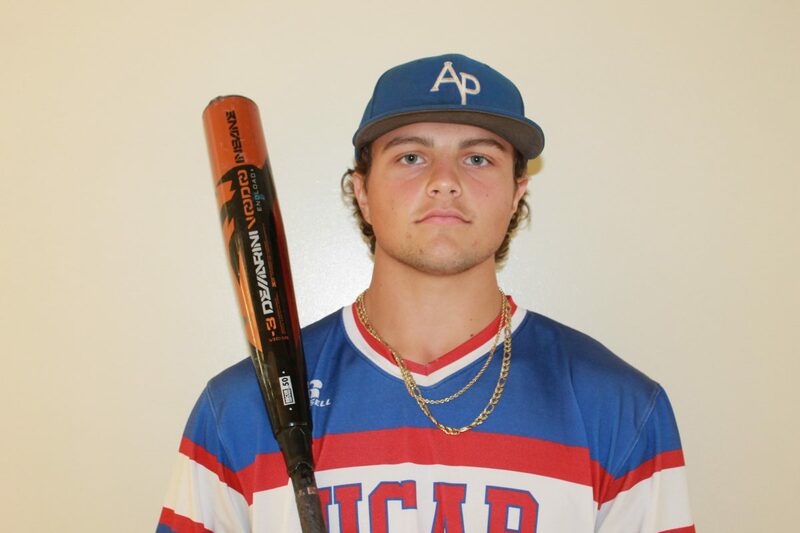 On Deck: vs. CC Morris (DH), Sunday at 12 p.m.
RANDOLPH, N.J. – Sophomore Collin Bakken (Waterford, Conn.) tossed a complete-game four-hitter to lead the University of Connecticut Avery Point baseball team to a 2-1 win over County College of Morris in game two of today’s doubleheader. The hosts took the opener by a 16-5 final. Bakken went the full seven innings and didn’t allow an earned run. He scattered four hits and fanned three. Seamus Barry (Montville, Conn.) drove in the eventual winning run in a two-run third inning with a RBI single. Noah Yokoi (Westport, Conn.) had three hits in the opener, while Brayden Cooney (Southington, Conn.) posted two hits, including a home run. On Deck: vs. Bunker Hill CC, Tuesday at 3:30 p.m.
SOUTH PORTLAND, Maine – Freshman Chris Bogan (Fairfield, Conn.) drove in a pair of runs and classmate Orlando Swift (Newtown, Conn.) merited just one run (zero earned) over six innings as the University of Connecticut Avery Point baseball team lost a 5-3 decision at Southern Maine Community College today. Evan Kirch (Manchester, Conn.) was the lone Pointer with multiple hits on the day, as he finished with two. Bogan had a RBI single in the second and a RBI single in the fourth to give UCAP a 2-0 lead. SMCC scored the next three runs before Noah Yokoi (Westport, Conn.) tied the game in the top of the eighth with a RBI groundout. The hosts then scored twice in the bottom of the frame to secure the win. WORCESTER, Mass. 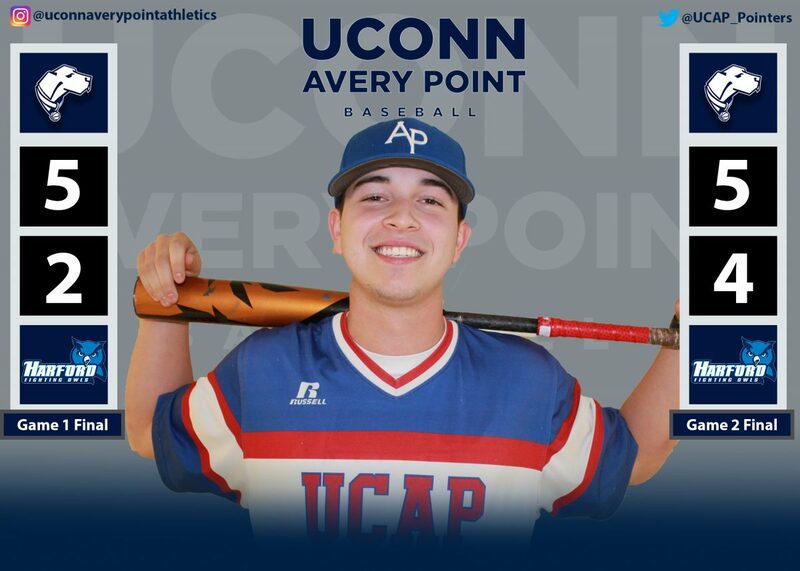 – Four different members of the University of Connecticut Avery Point baseball team homered – including two from Alex Petchark (Waterford, Conn.) – and Colin Sparaco (Ivoryton, Conn.) fanned 13 in six innings of work as the Pointers crushed Quinsigamond Community College, 13-3. The win was the third in a row for UCAP. Petchark’s home runs resulted in four RBI and two runs scored on the afternoon. Petchark went back-to-back with Brayden Cooney (Southington, Conn.) in the third inning. Seamus Barry (Montville, Conn.) and Aidan Brennan (New London, Conn.) went back-to-back in the sixth. Barry had a team-high three hits, along with three RBI and scored twice. Brennan posted two hits and two RBI. Cooney, Omar Montalvo (West Hartford, Conn.) and Chris Oliwa (Ansonia, Conn.) also finished with two each hits. Cooney scored three times on the day. Sparaco dominated the Wyverns and merited just one run on four hits to improve to 3-0 on the year. On Deck: at Southern Maine CC, Saturday at 1 p.m.
GROTON, Conn. – Freshman Jack Dimatteo (Killingworth, Conn.) tossed a complete-game (six inning) shutout and fanned seven, while Aidan Brennan (New London, Conn.) posted three hits for the second straight game in a 10-0 win for the University of Connecticut Avery Point baseball team over Massasoit Community College today. Brennan finished 3-for-3 with two RBI and a run scored. Noah Yokoi (Westport, Conn.) totaled two hits and two runs scored, while Alex Petchark (Waterford, Conn.) registered two hits and scored a run. Seamus Barry (Montville, Conn.) had a hit and scored two runs while Corey Plasky (Naugatuck, Conn.) had a hit and drove in two. 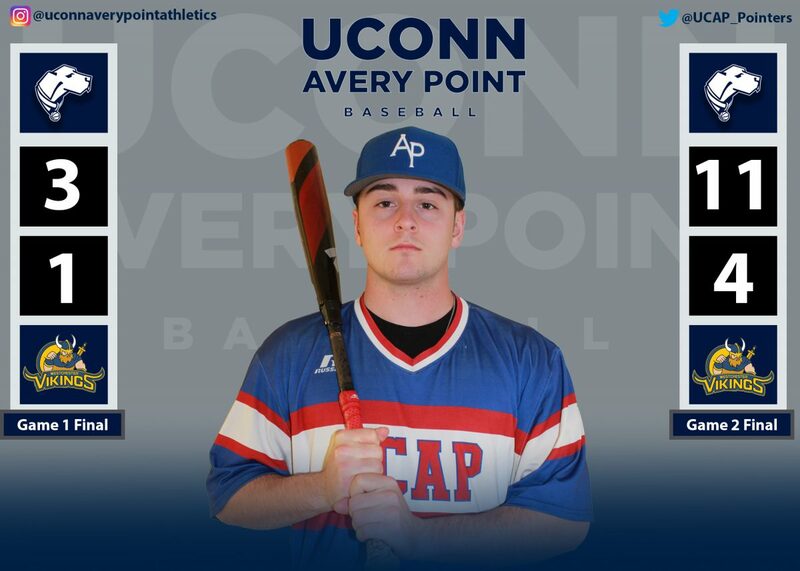 On Deck: at Quinsigamond, Friday at 3:30 p.m.
GROTON, Conn. – Sophomore Alex Petchark (Waterford, Conn.) went 5-for-6 with three runs scored and two RBI as the University of Connecticut Avery Point baseball team posted a split against Westchester Community College. The visitors took game one by a 9-8 final, while the hosts rallied for a 14-1 (five inning) triumph in the nightcap. Jeremy Nunes (Windsor, Conn.) and Brayden Cooney (Southington, Conn.) each posted three hits and three RBI combined in the twinbill. Nunes scored three times and Cooney crossed the plate twice. Aidan Brennan (New London, Conn.) registered three hits, including a homerun, along with three RBI and two runs in game two. Chris Oliwa (Ansonia, Conn.) connected for his first collegiate home run in game one. Colin Sparaco (Ivoryton, Conn.) went 4.1 innings with nine strikeouts to earn the win in game two. He merited just one run on three hits. On Deck: vs. Massasoit, Wednesday at 3:30 p.m.
GROTON, Conn. – Trailing 8-3 going into the bottom of the seventh, sophomore Omar Montalvo (West Hartford, Conn.) delivered a two-out, bases loaded single to cap a six-run rally and give the University of Connecticut Avery Point baseball team a 9-8 win in the opener against Mercer Community College today. The visitors went on to take the nightcap by a 9-1 final. John Domijan (Montville, Conn.) earned the win in relief in game one. Seamus Barry (Montville, Conn.) had two hits, three runs scored and two RBI in the opener. Corey Plasky (Naugatuck, Conn.) finished with two hits and a RBI in game one. Brayden Cooney (Southington, Conn.) had two hits in the nightcap. 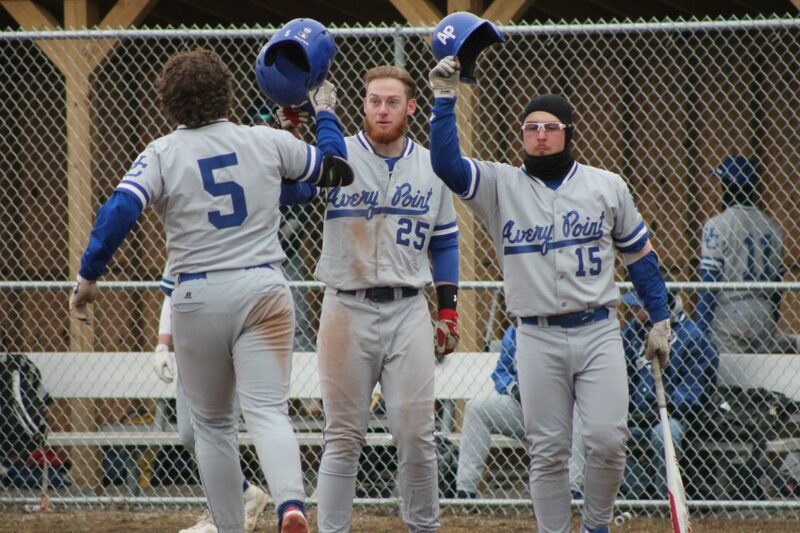 On Deck: vs. Westchester CC (DH), Saturday at 12 p.m.
WEST HARRISON, N.Y. – Five different members of the University of Connecticut Avery Point baseball team registered three hits apiece in today’s doubleheader sweep of Westchester Community College. The Pointers posted a 3-1 win in game one and an 11-4 win in the nightcap. Alex Petchark (Waterford, Conn.), Aidan Brennan (New London, Conn.), Seamus Barry (Montville, Conn.), Elijah Martinez (New London, Conn.) and Jeremy Nunes (Windsor, Conn.) each posted three hits. Nunes had three hits and five RBI to power the Pointers in the nightcap. Jordan Warecke (Old Lyme, Conn.) tossed five scoreless innings in the opener to earn the win. In game one, Noah Yokoi (Westport, Conn.) and Martinez each had RBI singles in the third as the Pointers took a 2-0 lead. Barry added a RBI single in the fifth. Trailing 1-0 in the nightcap, the visitors scored six times in the third and didn’t trail again. Barry and Brennan each had multiple hits in the contest. Liam Milewski (Lyme, Conn.) tossed four scoreless innings in relief in game two. On Deck: vs. Mercer CC (DH), Wednesday at 1 p.m.
Pointers Unable to Come Back From Early Deficit and Fall to CCRI, 2-1. WARWICK, RI. 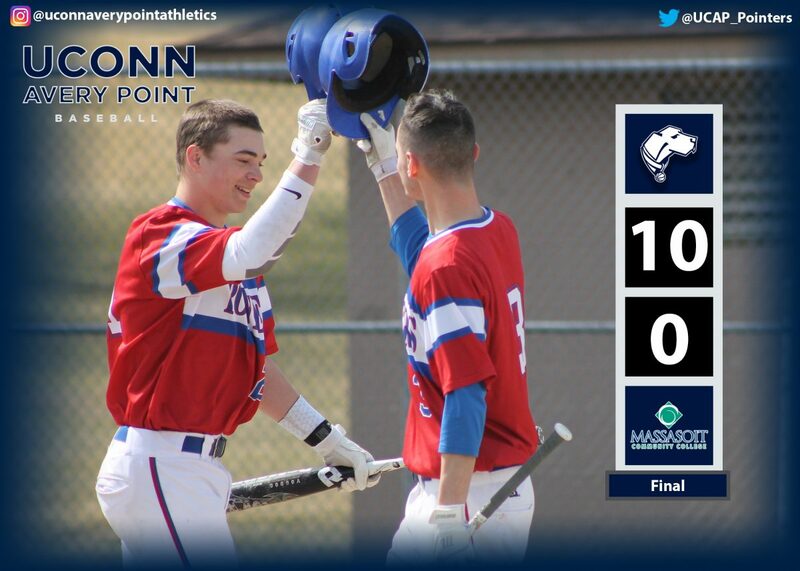 – The University of Connecticut Avery Point baseball went down 2-0 in the first inning, and never recovered in the loss to CCRI. Gary Costello (Cheshire, Conn.) struck out 4 batters. Omar Montalvo (West Hartford, Conn.) notched 2 hits. Elijah Martinez (New London, Conn.) scored the Pointer’s only run. On Deck: at Westchester CC, Saturday at 12 p.m. (DH). CATONSVILLE, Md. 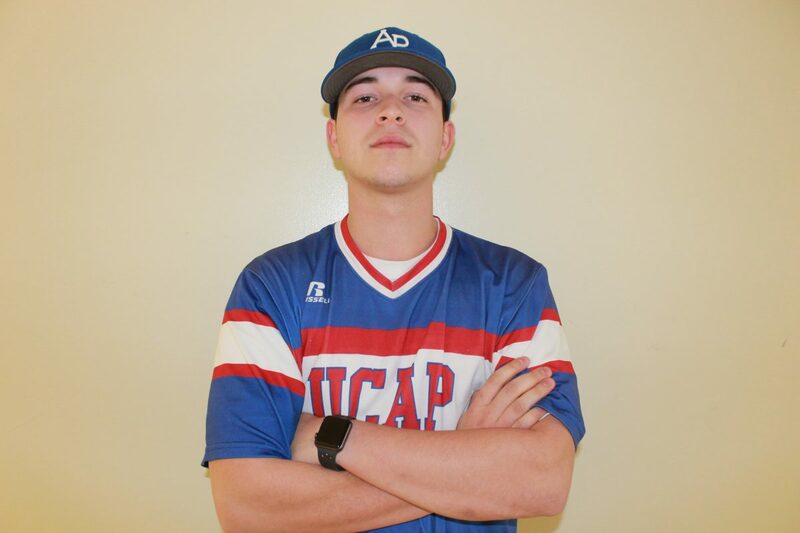 – Trailing 7-1 after three innings, the University of Connecticut Avery Point baseball team rallied to score the final 11 runs of the game en route to a 12-7 triumph over CCBC-Catonsville. Alex Petchark (Waterford, Conn.) and Noah Yokoi (Westport, Conn.) each notched two hits, two runs scored and two RBI. Petchark also blasted his first home run of the year in the top of the first. Omar Montalvo (West Hartford, Conn.) and Aidan Brennan (New London, Conn.) also contributed two hits apiece. Montalvo also scored a run, while Brennan added a run and a RBI. Seamus Barry (Montville, Conn.) posted a hit, a RBI and scored three times. Jack Dimatteo (Killingworth, Conn.) earned his first win as a Pointer. He came out of the pen and fanned five over 4.2 scoreless innings for the victory. On Deck: at CCRI, Thursday at 3:30 p.m.
CHURCHVILLE, Md. 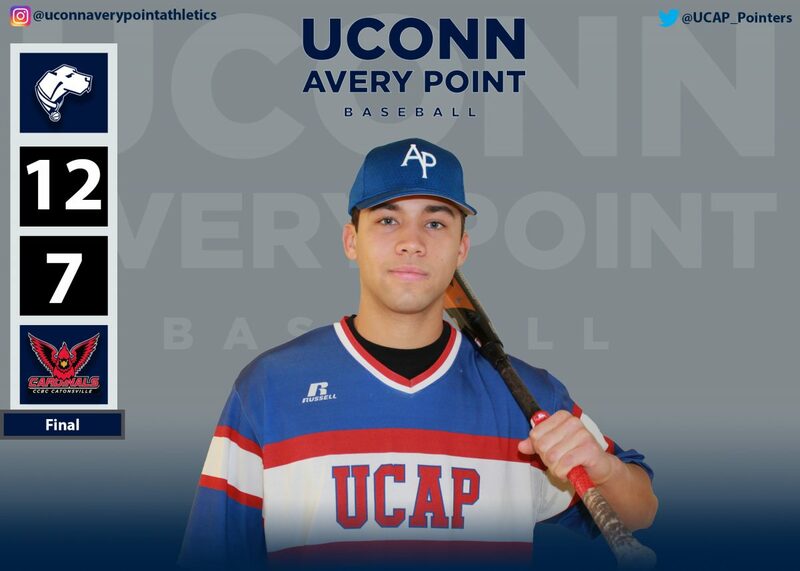 – Sophomore Alex Petchark (Waterford, Conn.) posted four hits and scored a run in Sunday’s doubleheader, but the University of Connecticut Avery Point baseball team dropped a pair of games to Harford CC by scores of 5-2 and 5-4. In the opener, the Pointers had the tying run at the plate in the seventh but couldn’t score. In the nightcap, the Pointers had a 4-2 lead after five innings and clung to a 4-3 lead into the seventh before the hosts scored twice in walk-off fashion. Chris Oliwa (Ansonia, Conn.) registered hits in both games, and also drove in a run in the opener. Brayden Cooney (Derby, Conn.) totaled two hits in the nightcap. 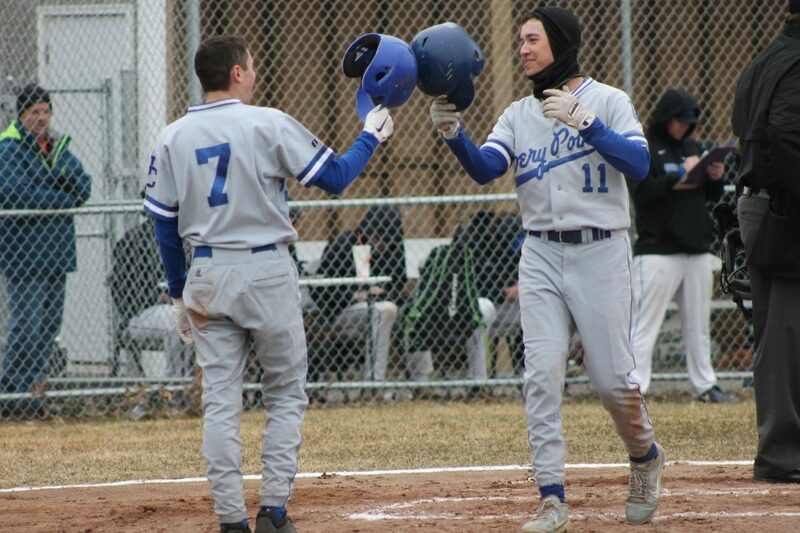 On Deck: at CCBC-Catonsville, tomorrow at 3:30 p.m.
GROTON, Conn. – This Friday’s scheduled baseball contest between the University of Connecticut Avery Point and CCBC-Essex has been cancelled due to field conditions. 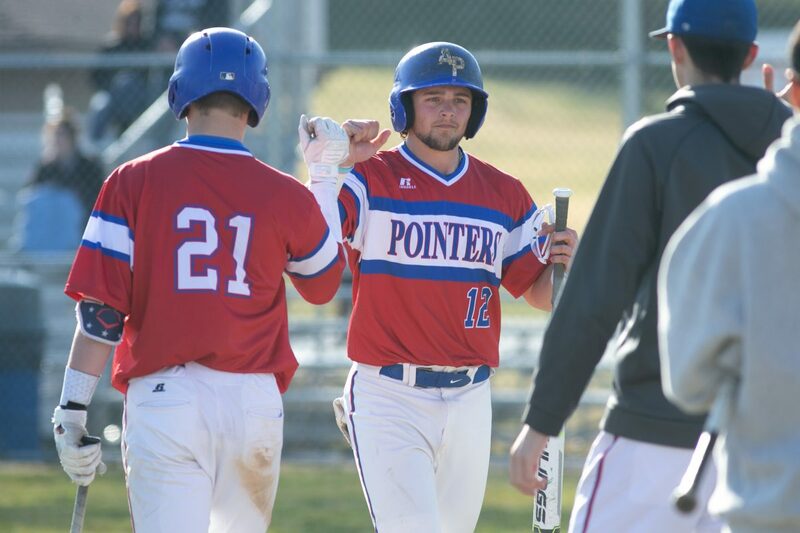 The Pointers are scheduled to resume their 2019 schedule on Saturday with a doubleheader at Delaware Tech. 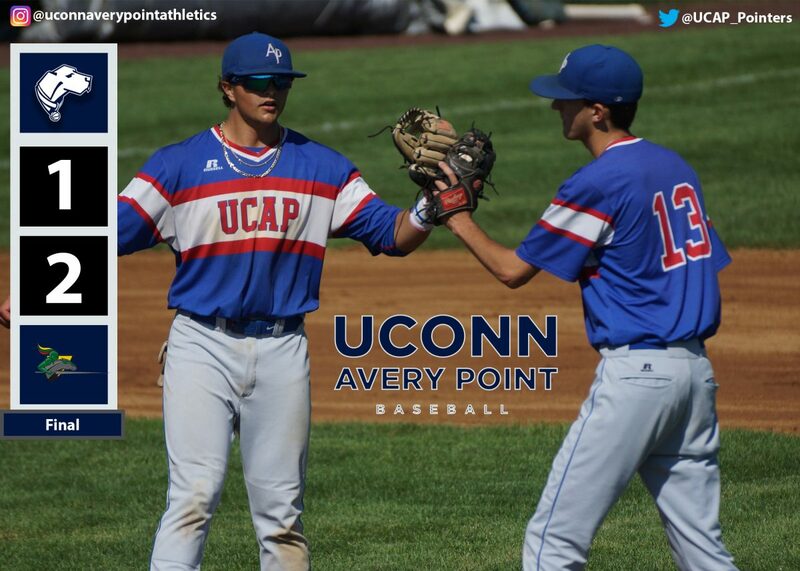 First pitch is set for 12 p.m.
FLEMINGTON, N.J. – The University of Connecticut Avery Point baseball team opened its 2019 season with a doubleheader at Mercer (N.J.) Community College. The hosts claimed both ends of the twinbill by scores of 7-2 and 9-0. Alex Petchark (Waterford, Conn.) finished with a team-high three hits over the doubleheader. He totaled two doubles and a triple in the contests. On Deck: at Union County CC, March 3 at 12 p.m.